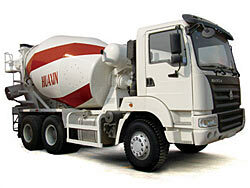 Some Hania Truck Manuals & Parts PDF presented above. 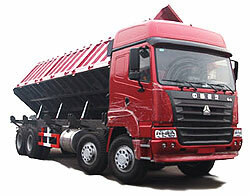 Cars Hania released in China, the factory Jining (full name Jining China National Commercial Vehicle Group., Ltd). This is a young company with a complete production cycle is created just three years ago. It invested 6 billion. Dollars. Hania plant is part of the corporation CNHTC - China's largest manufacturer of heavy trucks, including trucks and tractors full weight from 20 to 60 tons. Each year, the corporation produces over 100 thousand. Vehicles and exports them to 50 countries. Tipper Hania ZZ3255N looks modern, European-style. Its cabin is produced under license from Scania, as primarily evidenced by the characteristic radiator grille, the shape of the bumper and headlights. However, there are significant design differences. Secondary air inlets in the upper part of the grid available. No aerodynamic pockets and directing the air flow to the door for cleaning. Door - with a new pattern - elongated and covers the upper side steps from dirt. So Hania, certainly has a distinctive recognizable shape. Elegant, round bottom bumper "foglights" shape fits rather long range truck than dumpers. However, this impression is misleading: it is not plastic, and steel and has a required strength. However, protective grilles on the low-lying headlamps probably not prevented by.Interer cab matched appearance. It is modern in design and spacious. Motor tunnel is low. At the rear is equipped with a bunk. Adjustable driver's seat, in particular, tilt pad. The steering column is convenient to change and depth. Read - DFM Trucks Manuals PDF & History.